Louisville native, Pam Robertson, graduated from the University of Kentucky and retired from being an elementary school principal in 2014. During her years in education, Pam perfected her multi-tasking and organization skills. 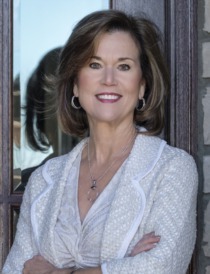 Working with many schools and relocating throughout Louisville has made her a real estate expert on the city and surrounding areas. Working in real estate enables her to continue using her strong communication and organization skills. In the past 17 years, Pam and her husband, Phil, have also built and sold homes. Pam enjoys serving as president of her Sunday School class. Her hobbies include exercise, sports, Bible study and family activities with her children and grandchildren.